I recommend these resources time and again. I use them myself because they make my life easier, and I’m confident you’ll agree too. SiteGround: 100% of my websites are hosted with SiteGround. Why? Because it’s incredibly easy to use with 1-click automatic WordPress installation and excellent customer service – via phone and via chat. I HIGHLY RECOMMEND using SiteGround for your first site. Also, you can use the same hosting account for multiple domains if you plan on creating more websites. GoDaddy: 100% of my domain names are registered with GoDaddy. Why? Because it’s incredibly easy to use with 1-click automatic WordPress installation and excellent customer service – via phone and via chat. I RECOMMEND using GoDaddy for your domain names. StudioPress: I use and STRONGLY RECOMMEND the Premium Themes by StudioPress, based on the Genesis Framework. Nearly all of my website designs are built on the Genesis platform, and my main website uses the Epik theme. My Professional WordPress Design customers can use any of the themes, as included with their plan. 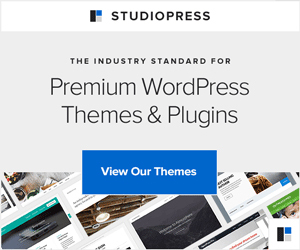 Click this link to view all premium themes available at StudioPress. Wealthy Affiliate: Wealthy Affiliate is the only community in the world where you achieve an education in Online Business, build a reputation, interact with like-minded people, and have access to all tools required to achieve lasting success. Read my full review “Is Wealthy Affiliate a Scam? If Not, Why Not“. Click this link to start your own online affiliate business. EasyAzon Pro: Let EasyAzon 4 Help You Earn More And Save You Time! EasyAzon 4 is a powerful WordPress plugin software that can help you make more commissions and save you a lot of time in the process. Jaaxy: Jaaxy is an online keyword research tool for affiliate marketers and webmasters that allows you to find high traffic, low competition keywords and keywords phrases in any niche. Inbound now: Inbound now allows you to build Landing pages, manage inbound leads, and create calls to actions to improve marketing with their Inbound Marketing Plugins for WordPress. Click this link to start capturing your own leads. Sendy: Sendy is a self hosted email newsletter application that lets you send trackable emails via Amazon Simple Email Service (SES). This makes it possible for you to send authenticated bulk emails at an insanely low price without sacrificing deliverability. Best of all, it makes it easy to start your own email service for your clients, helping you make back your initial investment quicker than ever. I currently use Sendy for a Global organisation who email upwards of 10,000 email newsletters per month. SuiteCRM: SuiteCRM is a software fork of the popular customer relationship management (CRM) system SugarCRM. It is a free and open source alternative to paid editions of SugarCRM products, and is based on the last open-source release, but ships with additional modules. Amazon Web Services: Amazon Web Services* is a collection of remote computing services, also called web services that together make up a cloud computing platform by Amazon.com since 2006. The most central and well-known of these services are Amazon EC2 and Amazon S3. * L’homme de l’ecosse is a registered partner with Amazon Web Services Partner Program.